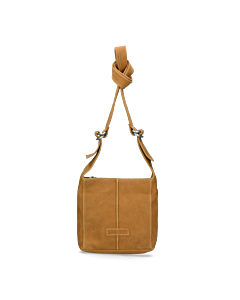 As always, the 2018 Shabbies Amsterdam shoulder bag collection offers plenty of choice for every woman looking for an edgy leather bag. Our shoulder bags are all made by hand in European countries, e.g. Portugal and the Netherlands. More than anything, they are known for their convenience and comfort. Nearly all our shoulder bags, big and small, have an adjustable and even detachable shoulder strap. This way, you can use them as a shoulder bag as well as a handbag. In this official web shop delivery and returns are free. You can safely pay for your purchase with PayPal or iDeal, to name a few options. Because we understand that ordering a bag online can feel tricky. So be sure to check out the picture of the model, as this will show you the bag in proportion to an average body. The length x width x height dimensions given with every bag show you exactly how big the bag is. If you have any other questions about our shoulder bags, please feel free to contact the people of our customer service department.